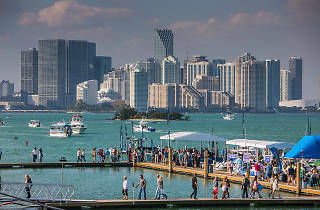 For years, the Miami International Boat Show has billed itself as the local event with something for everyone—“whether you’re a boat buyer or a dreamer,” says show manager Ben Wold. The 76th installment, which takes place at Miami Marine Stadium for the second year in a row, is adding a new type of guest to the list: gastronome. Unlike years past, the 2017 affair includes an enhanced food and beverage program, giving those who aren’t in the market for a multimillion-dollar water cruiser a tasty alternative to the usual nautical activities. 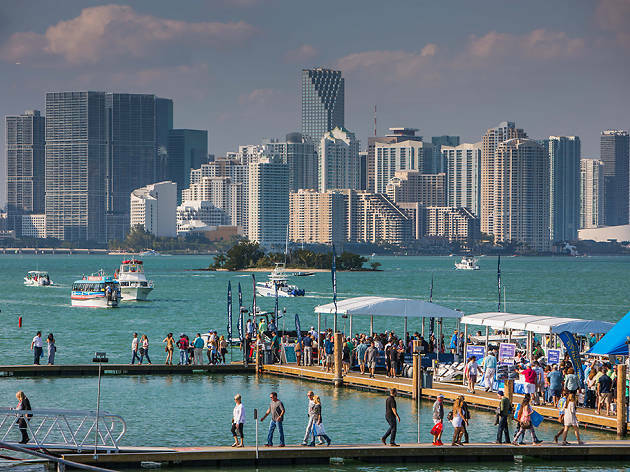 The Taste of Miami Boat Show, a weekend-long, festival-wide culinary program, features more than 150 different dining options—ranging from high-priced, chef-driven fare to casual, homestyle grub—across food trucks, kiosks and carts. First-year partners Great Performances (caterer to the Miami Open and New York City Wine & Food Festival) are tasked with ensuring that guests are never too far from a quick bite. The team will set up a variety of stations serving burgers, sandwiches and American fare in and around the show’s main food hall, the Center Courtyard. Local restaurants will also have a presence in the showcase with boat-show–inspired dishes. Participants include the likes of Sushi Maki, which will debut a Surfside Rose Roll, and HipPOPs, which will dole out the Chocolate Overboard dessert. Miami Marine Stadium Park & Basin, 3501 Rickenbacker Cswy, Key Biscayne (954-441-3220). Feb 16–20 10am–6pm; $25–$100. When it comes to eating in South Florida, Clarissa Buch explains it all—writing about Miami’s food and culture for local and national publications. You can find her inside various restaurants where she asks, photographs and eats way too much (in that order). Follow her on Twitter at @clarissaibuch.